Ignoring distractions becomes more of a problem as we age, but, according to a new study, special brain "training" may be able to help. By putting both older rats and older humans through a brain-training regime, researchers from the University of California managed to reduce the participants distractibility. The braining training task used a technique known as sensory discrimination. This is when you see, hear or smell something, and then you have to focus on one particular aspect. An example of this would be picking out a friend's voice from amongst the collective hubbub of a room full of chatter. To analyse the participants distractibility, the team recorded their brain activity using electroencephalography (EEG). 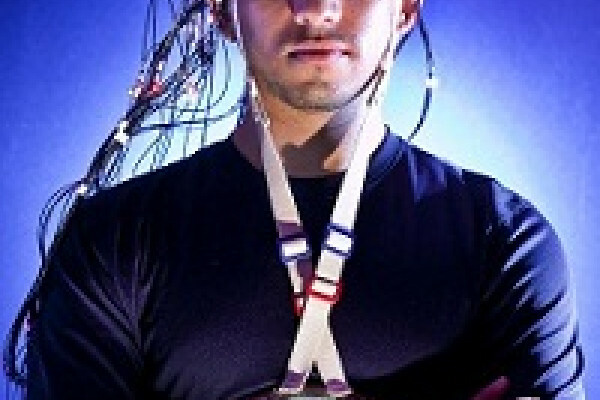 This technique provided an electronic representation of distractibility, which the team were able to assess before and after the brain training course. Volunteers in the study would hear three short tones, equally spaced apart. One of the tones might, they were warned, contain a specific target tone. If participants correctly identified whether the target tone was present they were rewarded: there was food for the rats and progress in a game for humans. "After the training, the responses to distractions in the brain would be lower, " said Jyoti Mishra, lead author of the paper. "This happened both in the parts of the brain that process sound, and also in the frontal parts of the brain." The researchers wondered whether the technique, published in Neuron, might also be able to help young people with conditions like Attention Deficit Hyperactivity Disorder (ADHD). Although they've not yet finished this work yet, the preliminary results seem promising. "There is definitely an improvement signal in [the children's] ADHD and their attention, compared to when they play something that is not therapeutic," continued Mishra "but that study is still ongoing and hopefully we will have results published next year." Next What price to protect another?